Source: Haver, Bloomberg, Guggenheim Investments. Data as of 1/8/2015. 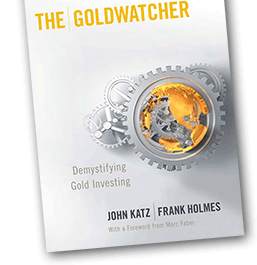 This June 2014 Goldwatcher posting outlined an approach to gold as a contrarian investment that made sense when it was posted. Reports on gold all in production costs have since fallen by about $100 and may fall further as the effects of lower oil prices are factored in. Elliotwave International have been forecasting near term gold price gains. This comment is published for information & is neither advisory or an endorsement.